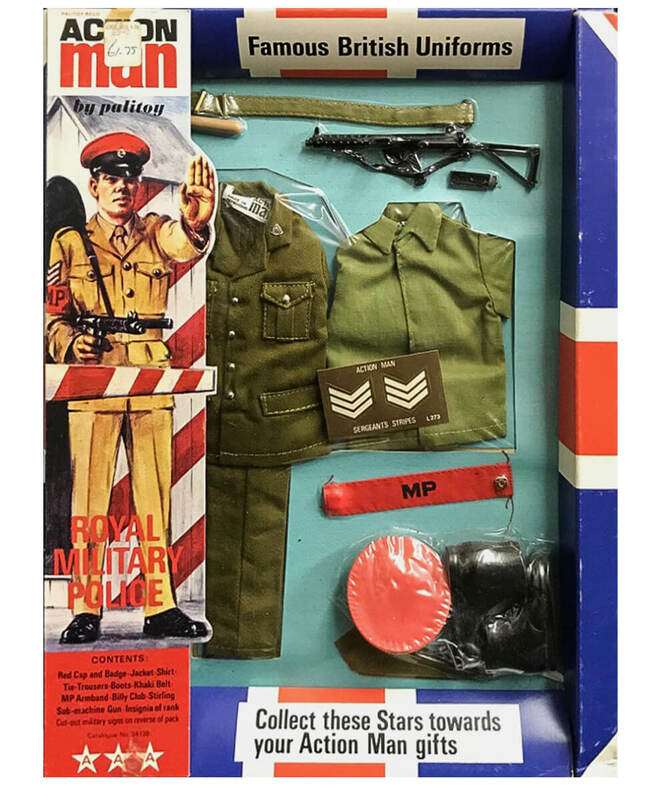 The Royal Military Police set is part of the 'Famous British Uniforms' range with its distinctive Union Jack packaging. 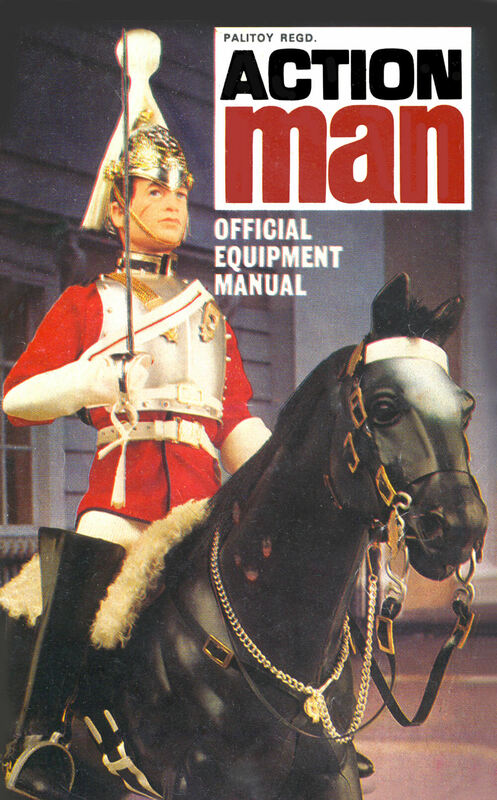 It was launched in 1972 alongside the another 'non-ceremonial' uniform of the Army Officer. Details included a truncheon, elasticated tie with white elastic. 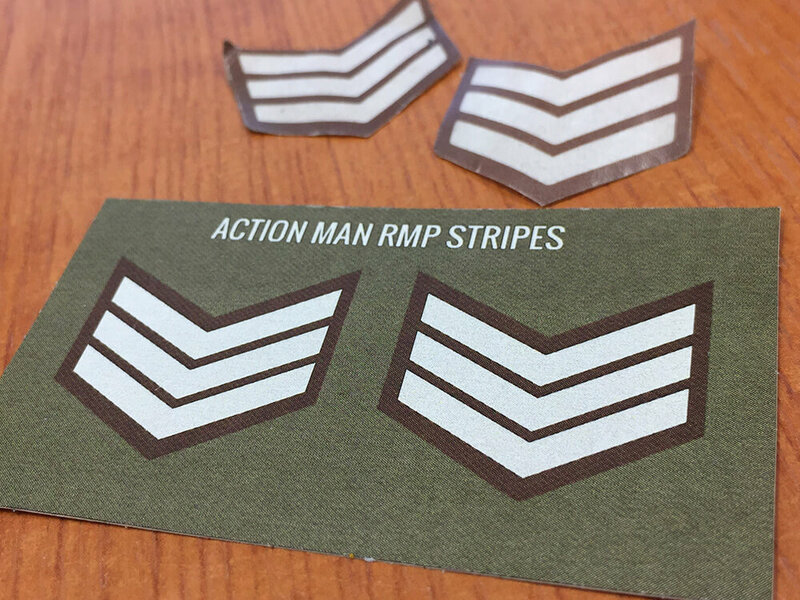 Two sergeant stripes were included on a sticker sheet L273 (repro stickers available here). On the back of the packaging were signs to cut out, fold and display. 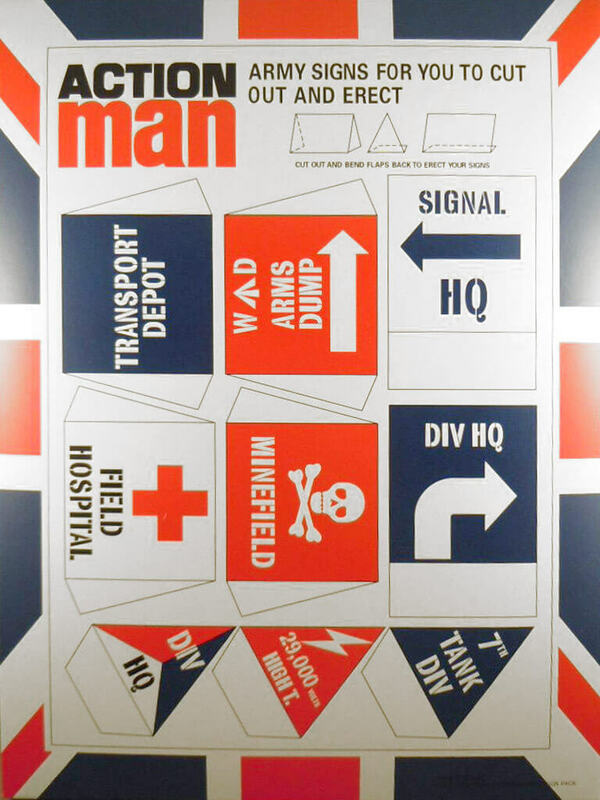 These were a lighter card than similar 'tent' signs on heavy board given with the popular Star Scheme. Price of this set in 1975-6 approximately £1.75. 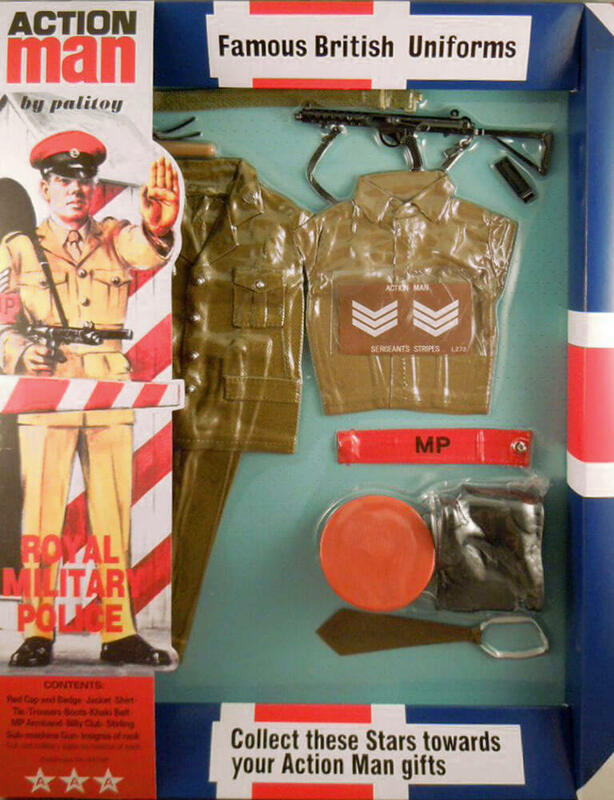 ROYAL MILITARY POLICE : Jacket, shirt, trousers, elasticated tie, boots, belt, truncheon, MP armband, sergeant stripes sticker sheet L273, cap, Sterling machine gun, clip, information leaflet. Equipment Manual. 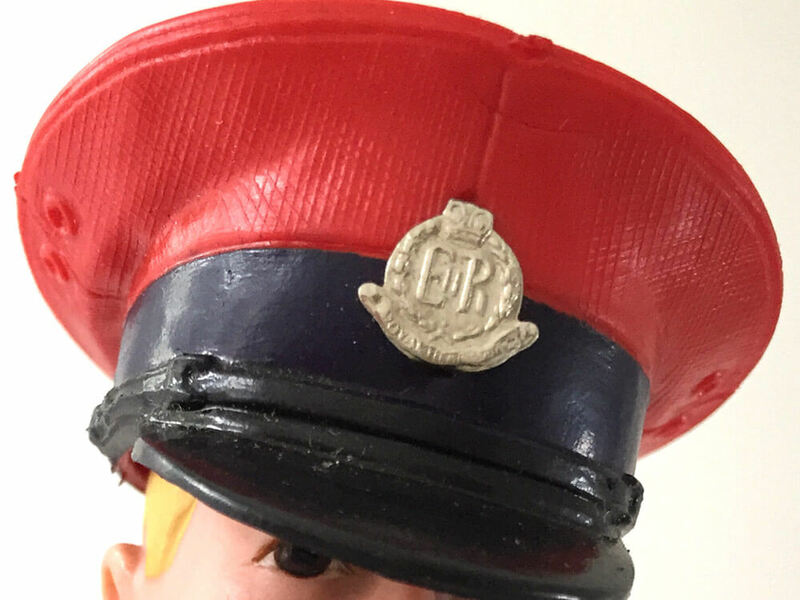 The initial Royal Military Police uniform was a heavy fabric. 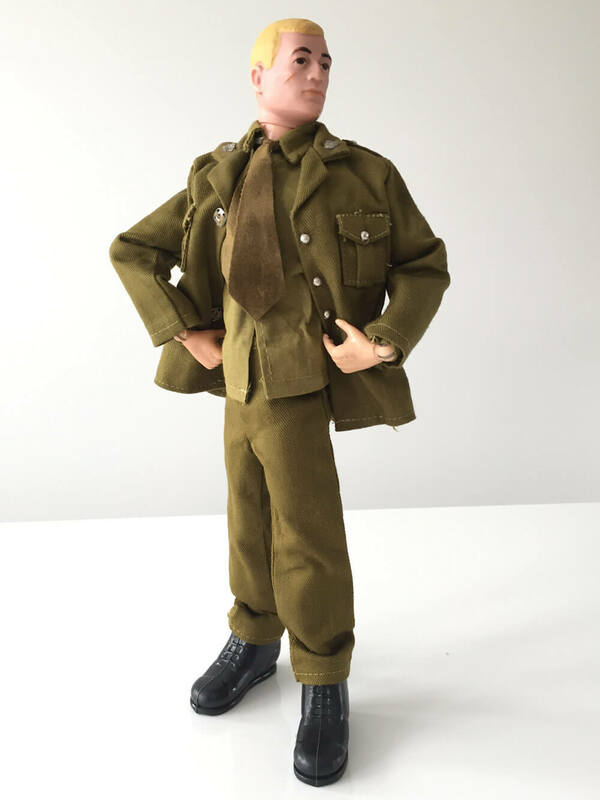 The uniform tunic, shirt and tie also underwent differing colour and shade variations, as do the stickers, probably due to a poor production regime rather than by design. The 'Redcap' is unique to this set. The wood coloured truncheon can have either a red or black strap. The Sterling sub machine gun (mis-spelt on this pack as the town of 'Stirling'), although fairly common, readily loses its small slot-in magazine clip. 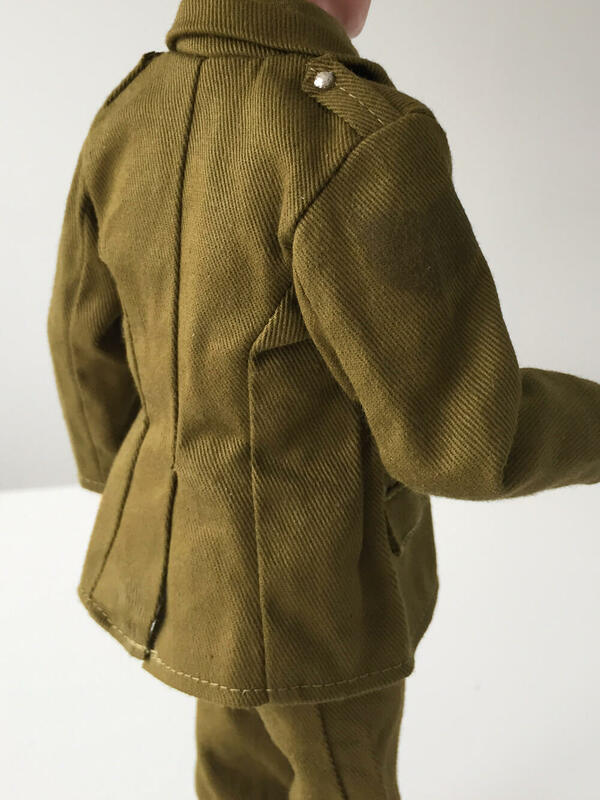 This piece on launch would have had an elastic strap, but by the mid-seventies, along with most weapons, gained a plastic strap. The unique belt should have two additonal brass sliders. 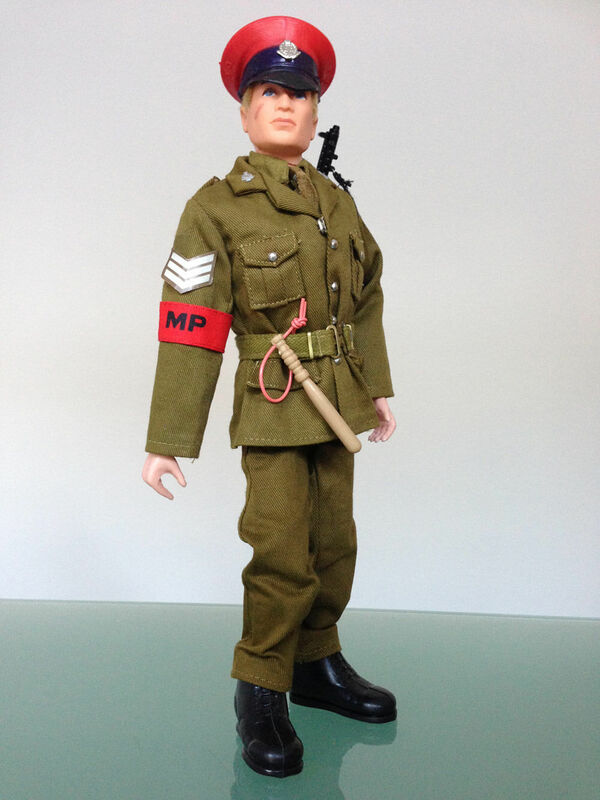 The included sticker sheet allowed the owner to make the outfit up to sergeant. 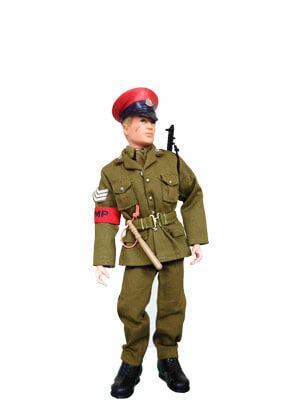 The 'current' figure upon release was the flock haired Action Man which was to gain gripping hands within a year (1973). 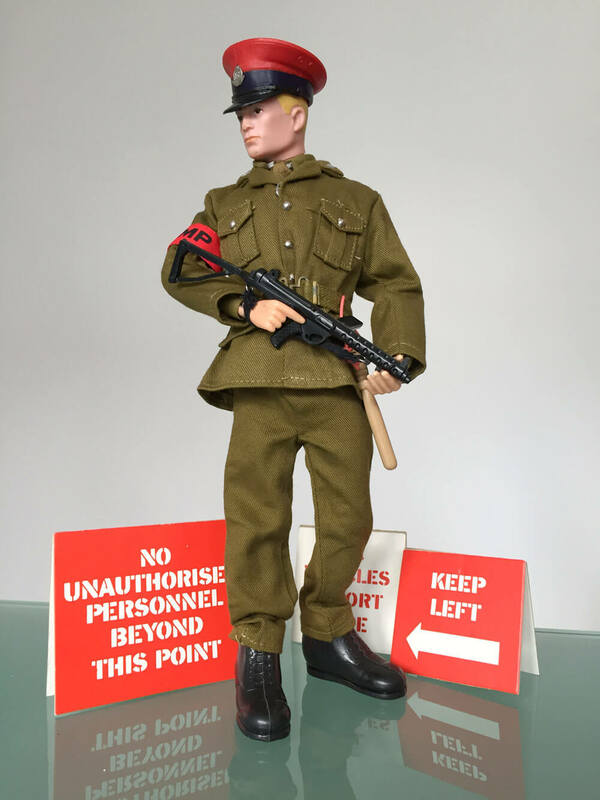 Action Man Royal Military Policeman Sterling Machine Gun. Shown with separately available signs from the star scheme.